Thanks for the information. 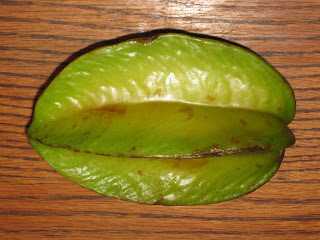 I was just eating a star fruit and am hoping to plant the seeds next to my lemon trees on my window sill. Unfortunately I live in zone 6, so I don't expect to have the trees long enough to get fruit. Yea. you are right Elizabeth. Pineapple can be propagated by their tops of the fruit. Yes, but it is very slow...up to 2 years or more, and you only get one per plant, as a rule.. have hear of getting two on one plant. Also, each one gets rather large. On the upside, I have been told they bear the most delicious fruit ever. My planted pineapple top is about 7 years old now and we've managed to get 4 pineapples from it, about one a year, once it matured. How can I get the seeds without cutting them through? Or should I say? What's the proper way to obtain seeds from the fresh fruit? Morgon .... Be very careful. Actually, after you make a first cut, you can tell where the seeds are because they appear darker areas of the fruit. I cut carefully and use a toothpick. Yes, how long did it take yours to fruit from seed?